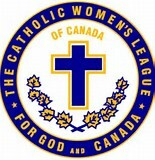 We gather tonight with members of the Catholic Women’s League to honour the memory of 92 of our members who have gone from this life to their eternal rest in Christ. We welcome the family members who are with us to join in the memorial for our departed sisters. the Son, and of the Holy Spirit. The grace of Jesus Christ and the love of God and the companionship of the Holy Spirit be with you all. All: And with your Spirit. Gracious God, to whom mercy and forgiveness belong, hear our prayers on behalf of your faithful servants whom you have called into the light of your presence. May they be welcomed joyously into heaven. We ask this through Christ, our Redeemer. Special thanks to Father Maurizio, relatives and friends of our deceased members, all the CWL members and to our Requiem Choir, who contributed in making this Mass a blessed celebration for all our departed sisters. We welcome everyone to the Church Hall after the Mass, for fellowship and refreshments.